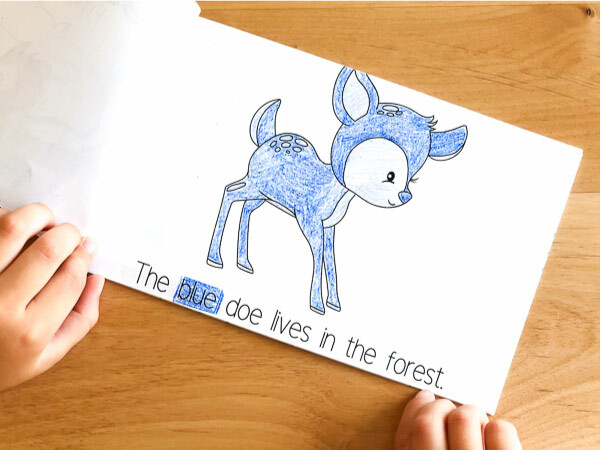 Inside: This free printable forest animal emergent readers book is perfect for preschool or homeschool little ones learning color sight words. 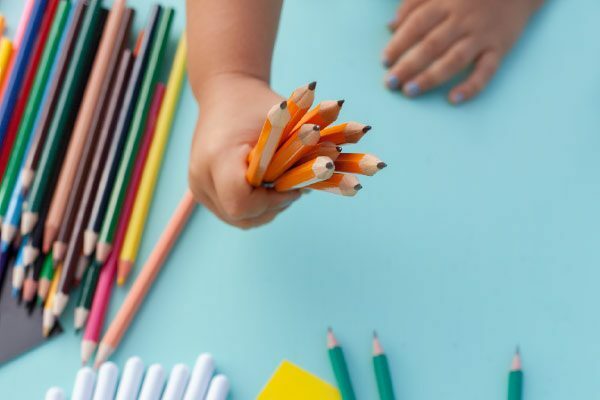 If you have preschool aged children at home, you’re going to love today’s learning activity. This week, our theme revolves around nature and outdoor activities. So far we’ve done some messy splatter painting outside, colored some forest animal coloring pages, worked on letter recognition with these forest animal alphabet maze worksheets and painted this adorable ladybug rock art. Today, we’re bringing things back inside and working on a printable mini book with forest animals. 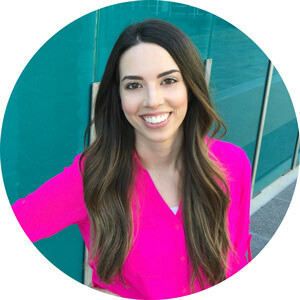 Read on to see all the details below. 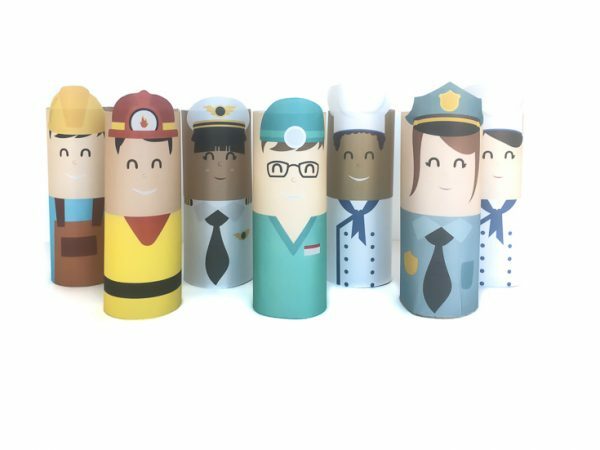 We loved doing this educational activity for a variety of reasons. First, these printable books help kids learn color sight words. Each page has identical text, except for the color and the name of the animal, so kids can learn through repetition. 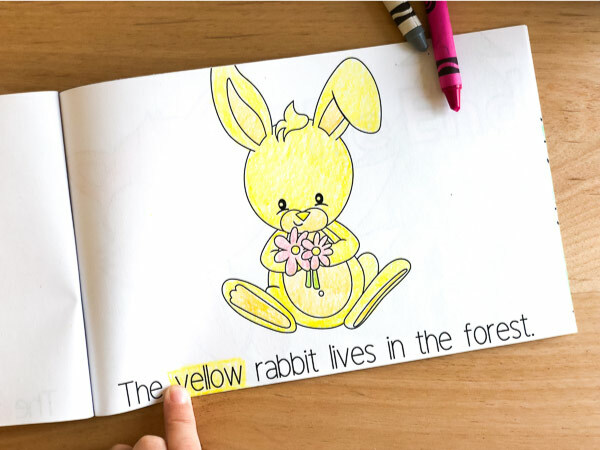 Second, when kids color the animals on each page, they work on fine motor skills. 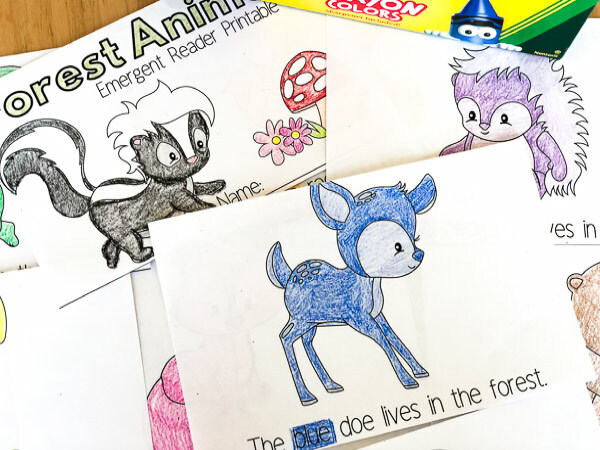 This is one of the reasons we do a ton of coloring around here, like with these Disney coloring pages and these color by number printables. Third, it makes reading more fun. 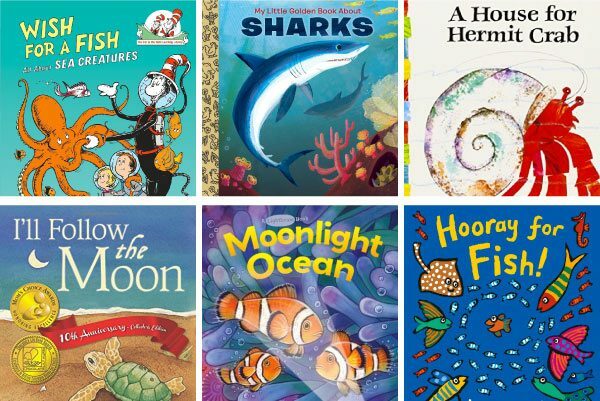 Kids love creating their own printable children’s book and want to read it over and over again. When we made my preschooler’s book, he was so proud he carried it around the house all day. 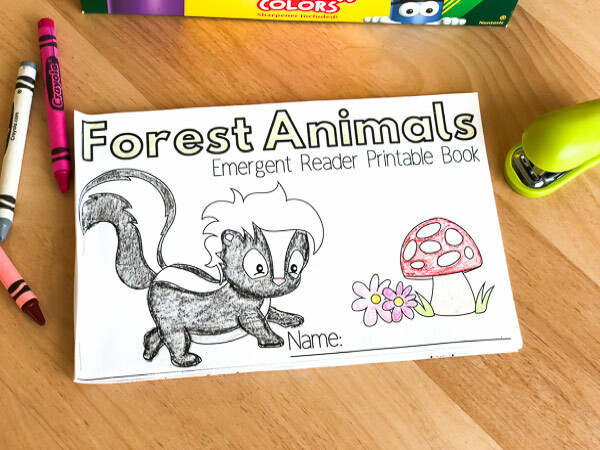 I’m sure these forest animal printable mini books would be a great supplement in your homeschool or classroom preschool. To download your own copy, enter your email address in the form at the bottom of the page.